Boardman, OH (November 1, 2013) Advanced Chiropractic and Rehab is participating in a holiday food drive from now through Thanksgiving to benefit Second Harvest Food Bank of the Mahoning Valley. Among the items most needed by Second Harvest Food Bank are peanut butter, cereal, canned vegetables, tuna fish, dry pasta, canned soup, and macaroni and cheese. Additionally, for the holidays, boxed stuffing, instant mashed potatoes, gravy mix, and canned yams are recommended. Items can be dropped off to Advanced Chiropractic and Rehab at either of their locations. The Boardman office is located at 755 Boardman Canfield Rd, South Bridge West Building P, and the Hubbard office is inside Dr. Sammarone’s office at 730 N. Main St. Advanced Chiropractic can be reached at 330-726-7404. Those that donate to the cause will receive a free initial consultation with one of the doctors on staff. 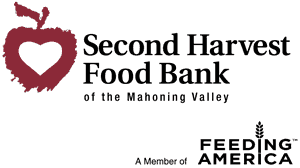 Second Harvest Food Bank of the Mahoning Valley is a 501(c)3 charitable organization and depends on donations of food and funds to meet the needs of our friends and neighbors. For more information, please visit www.mahoningvalleysecondharvest.org. Advanced Chiropractic and Rehab offers chiropractic care, rehabilitation services and massage therapy at two offices, in Boardman Ohio and Hubbard Ohio. They have two Chiropractic physicians on staff, Dr. Michael C. Lyons and Dr. Joseph Totaro. For more information about Advanced Chiropractic, please call 330-726-7404 or visit www.advchiro.com.